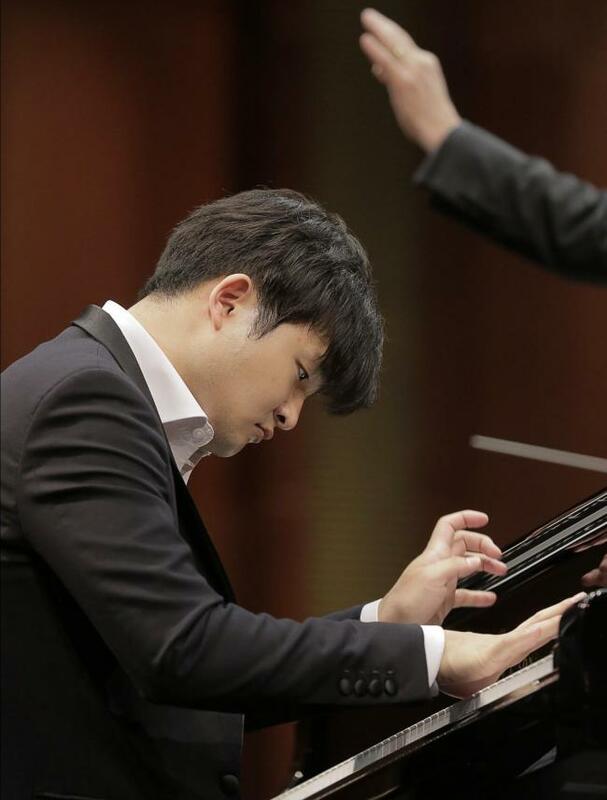 Sunwoo Yekwon has won the top prize at the 15th Van Cliburn International Piano Competition, marking the first time a South Korean pianist has won at the prestigious event. Sunwoo, a 28-year-old graduate of the Curtis Institute of Music, was announced the gold medalist at the quadrennial event held at Fort Worth, Texas, from May 25 to June 10. He played a competition repertoire that included the Dvorak Piano Quintet in A Major, op. 81 and Rachmanioff Piano Concerto No. 3 in D Minor, op. 30 to cap off his win. Sunwoo Yekwon performs at the Van Cliburn International Piano Competition held at Fort Worth, Texas, Saturday. With the win, Sunwoo earned an award of $50,000 along with three years of career management, concert tours and recordings. Daniel Hsu, a current student of Sunwoo’s alma mater, took the third-place prize at the event. The Van Cliburn has been held since 1962 for pianists between the ages of 18 and 30.